Gain actionable insights into your Concur Travel, Expense, and Invoice data. Make better decisions with business intelligence tools that provide the insights you need. Utilize dashboards and reports built on best-practices to deliver a more complete picture of your spend, so you can monitor trends, enforce policies and simplify your spend management. 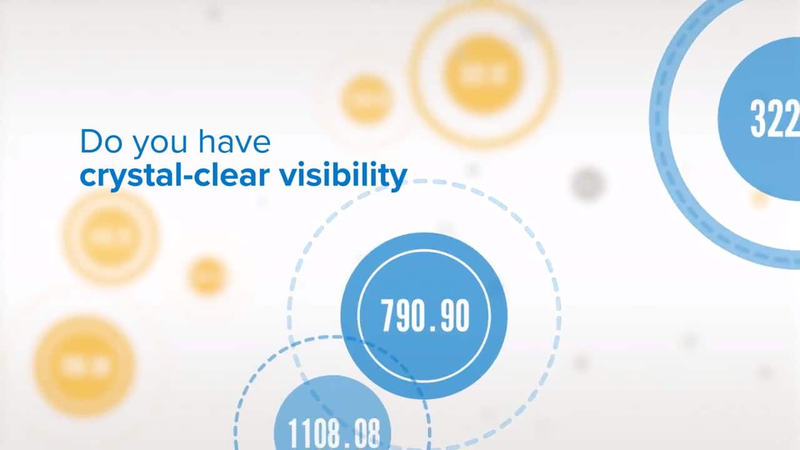 See the right data so you can increase transparency and control your corporate spend. Click the menu below to learn about Intelligence. Get insight into company spending. Intelligence gives you visibility into your company spend by consolidating travel, expense, invoice, and credit card data. Monitor spending trends and patterns. Dashboards and alerts allow you to easily monitor spend and identify questionable transactions. Proactively manage spend with actionable insights. Enforce compliance to policy, optimize workflow, negotiate with vendors, and manage spend to drive additional cost-savings. We’ll show you how to easily access the data you need to control your company spend. Get a single, clear view into spend by combining travel, expense, invoice and credit card data analytics into one business intelligence system. Gain actionable insights with interactive dashboards tailored to the business needs of each persona. Monitor your spend daily and set up alerts to help you proactively track spend against budget. Modify existing reports or create your own custom business intelligence report that meets your specific needs. Schedule alerts and the distribution of reports and dashboards to your key stakeholders with insights customized to each audience’s unique needs. Get an unlimited number of hours with expert reporting consultants to help you develop your reporting strategy and custom reports when you purchase Consultative Intelligence. Concur integrates all your expense data, so you can manage spending wherever, whenever it happens. Book travel, increase compliance and monitor spending. Reduce the hours, effort and costs put into the entire accounts payable process –from purchase request to invoice capture and payment.